Robert McNamara: "Jesus. The Bay of Pigs was a better run operation." 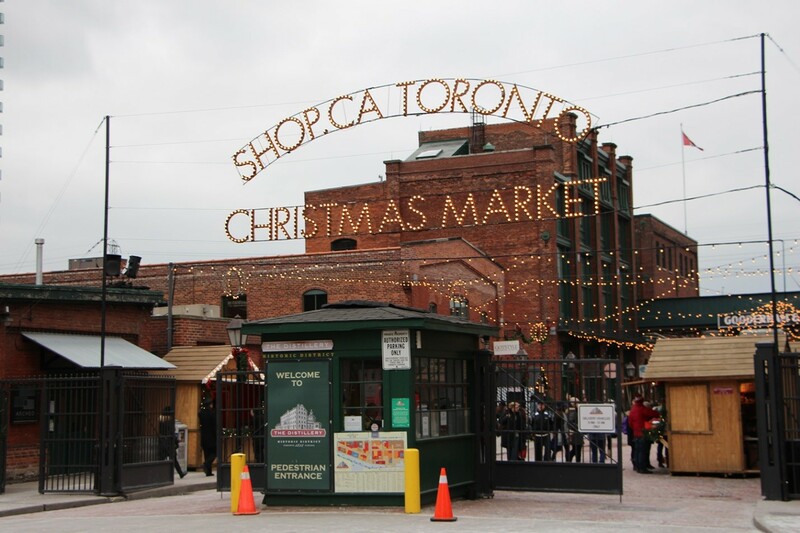 It will open in April, but you can read the script here. Stunning, and less so for how it portrays Ted Kennedy, at whose behavior most people have long since guessed, than for the amoral political rescue mission undertaken by the JFK White House bigwigs who came at old Joe Kennedy's call and did whatever was necessary to make that callous manslaughter go away. The script writers used the extensive inquest transcripts, which were made publicly available many years later, to reconstruct events. Much, of course, they had to imagine. This movie might be the capper to a year of exposés about powerful men and the young women they used. 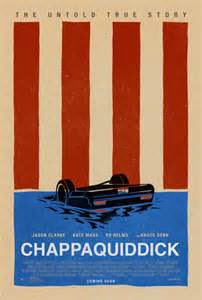 But the bigger scandal, really, ought to be the 50 years of adulation that Ted Kennedy got in Washington after he slunk away from his sunken car. This law, to be exact. 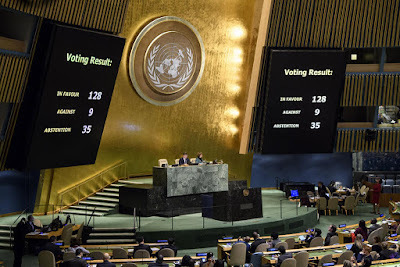 GENERAL ASSEMBLY RESOLUTIONS RELATED TO ISRAEL OPPOSED BY THE UNITED STATES Public Law 101-246, as amended by Public Law 108-447, calls for a separate listing of all Plenary votes cast by UN member states in the General Assembly on resolutions specifically related to Israel that are opposed by the United States. You see read the annual Congressional reports going back to the year 2000 here, at a publicly available source of information. From skimming the handy Voting Practices in the United Nations section of the reports, it looks like most UN General Assembly members have voted our way only 7 or 8 percent of the time, tops. The 9 who voted with us, 35 who abstained, and 21 who failed to vote on yesterday's measure look like par for the course or maybe a little better. Paul Vrbka with the [York County] Sheriff’s Department said deputies initiated a traffic stop in the Bradshaw area after they saw a Toyota Tacoma driving over the center line and the driver failing to signal ... When they stopped the vehicle, he said, deputies could immediately smell the strong odor of raw marijuana ... Vrbka said they also told deputies “they didn’t know it was illegal to transport marijuana in Nebraska” ... 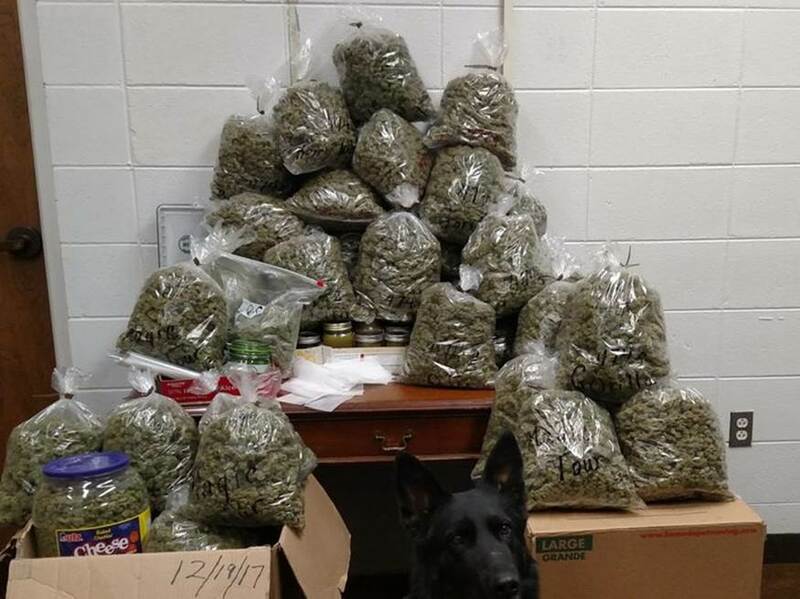 The marijuana was seized and it is estimated that the street value is $336,000. Chicago does a Christmas market, too, in cooperation with the German American Chamber of Commerce of the Midwest. And, just like the markets in Germany, Britain, and Canada, it installed perimeter vehicle barriers and put up a larger police presence in response to last last's truck ramming attack on the market in Berlin which killed 12 and wounded 56. 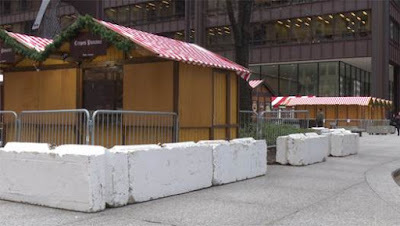 How does Chicago compare to the others in terms of the effectiveness and subtle streetscapery of its barriers? It compares poorly. Down go the concrete blocks across the entrance of the market in Daley Plaza. Just plain blocks, with little to no anti-ram value and no trimming to attempt to conceal their purpose. Up goes fencing around the perimeter of the market space. Fencing that weak would serve to channel law-abiding people, but not much more. Mounted on the surface of the sidewalk with no anchoring, and even less aesthetics. 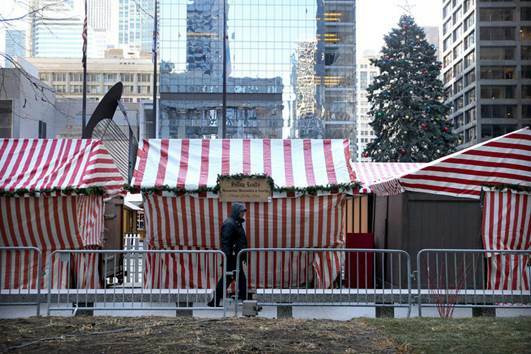 Hey, Chicago, you could at least have made them look like benches. 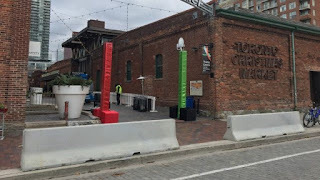 What's more, from the looks of it the market organizers and the police didn't even try to maximize the setback distance they could possibly have gotten by placing those blocks on the outer edge of the sidewalk. Either they don't understand the purpose of the anti-ram exercise or they're just going through the motions. That might be the city's only goal here. 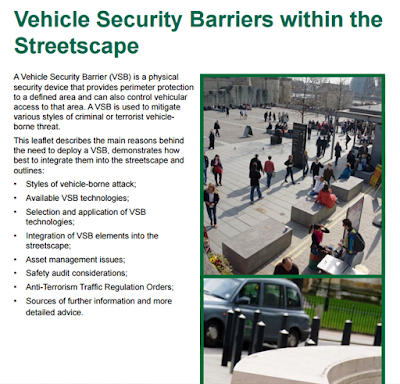 Make people feel better, but don't take the truck ramming threat seriously enough to put up serious, tested and certified, anti-ram barriers. After his release from the hospital, police said, Gonzalez Flores will be served with warrants charging him with two counts of felony hit and run, throwing an object at a moving vehicle, destruction of property, assault and battery, indecent exposure, disorderly conduct and possession of marijuana. 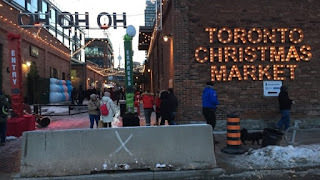 Merklestein Monday: Toronto's Christmas Market is "Safer Than Last Year"
Canada, our fine neighbor to the north, has Christmas markets modeled on those in Germany and elsewhere in Europe. 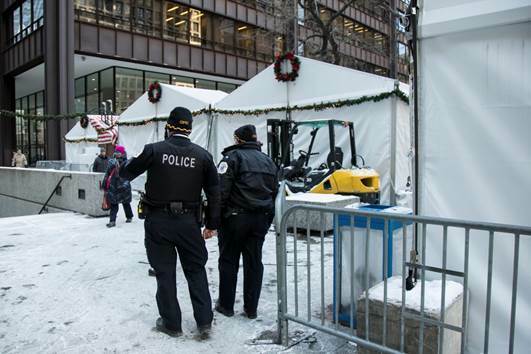 This year, they have an added measure of Euro-authenticity in their vehicle barriers and heightened police presence. 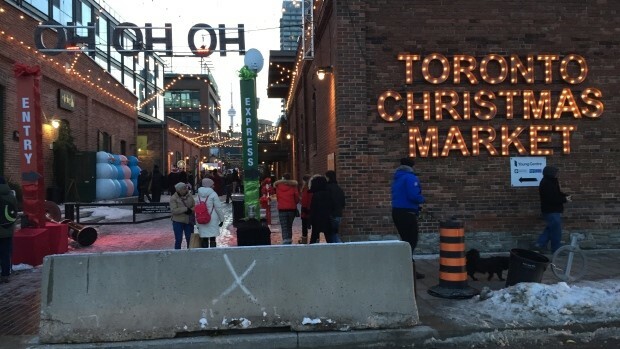 The Distillery District Christmas Market opened Thursday and visitors will notice more than just a European feel to this popular holiday destination. Security measures have been tweaked in the wake of recent attacks where vehicles have been used as weapons and driven through pedestrian areas. Dozens of people have been killed in recent years in terrorist attacks where the assailants drove vehicles into crowds. [TSB note: Not dozens, bu hundreds of people have been killed in vehicle ramming attacks in recent years.] In the most recent attack, eight people were killed on a New York City bike path. 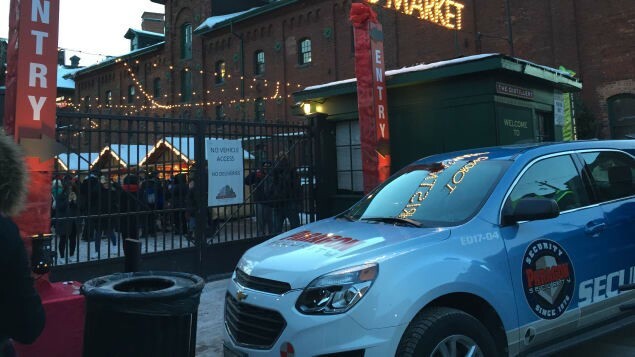 The market’s creator says the extra precautions won’t impact the user experience. Rosenblatt wouldn’t go into too many details but added that the concrete barricades at the entrances should prevent or at least slow down any vehicle. “We think it’s a safe place. Toronto and Canada is one of the safest places in the world. We’ve done what we think is appropriate to protect the people here,” said Rosenblatt. 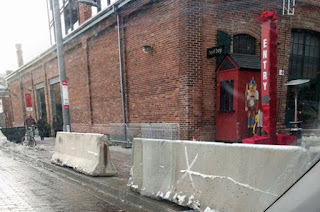 http://www.rcmp.gc.ca/physec-secmat/ Toronto police would only say they have met with market officials and developed a site safety plan. Mr. Rosenblatt is correct in his assumption that those simple concrete barriers - mere highway dividers, really - should slow down a vehicle, and probably do nothing more. 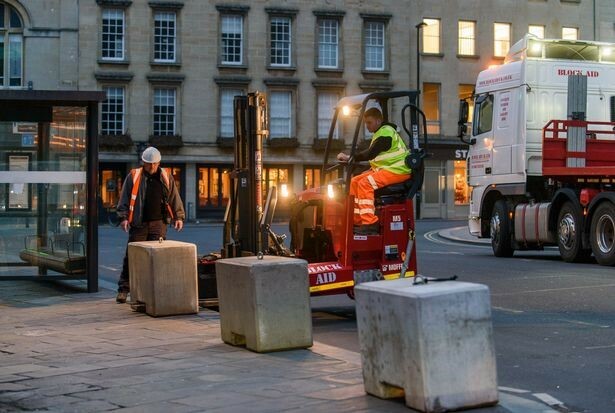 Real tested and certified anti-ram bollards would actually stop a threat vehicle, not merely slow it down. Why use an ineffective countermeasure when fully effective ones are available, and could even be blended into the market streetscape? 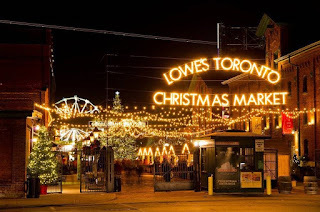 I know the RCMP has a national center of excellence for physical security and those good people could have given Toronto's market organizers and city planners some professional advice. Are we serious about protection against vehicle attacks, or just putting on a show for public consumption? Toronto's Christmas market last year (above), right after the Berlin market truck attack. They hauled a couple old and shopworn Jersey barriers across the main pedestrian entrance to the shopping street. This year (above), the markets at least sprung for new Jerseys, but placed them in the same weak surface-mounted configuration. They didn't even stagger the barriers to make a zig-zag chicane approach, much less try to lower their visual impact. Pedestrian controls are evident, along with a police presence. All well and good, but then, nothing stops a ramming vehicle except a physical barrier that will absorb the requisite amount of kinetic energy. It all makes me wonder whether the responsible parties just want to seem to be protecting the crowds rather than to really protect them. Judging from the comments by market visitors, the public appears to be happy with merely the appearance of security. In any case, perimeter barriers at large venue public events are now the new normal in the Great White North, as they are in Europe. And so, in conclusion, I recommend trying the poutine if you are ever in Canada. See this New Yorker article for lots of background on the "surprisingly inoffensive" Canadian dish of french fries, cheese curd, and gravy. 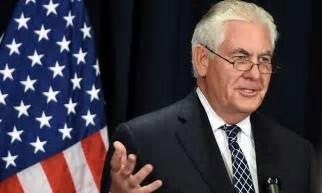 Silent Rex stopped in Vienna and delivered remarks to staff that were heavy on defense of the Department redesign effort and debunking media reports of a hollowed-out workforce. There was one new twist, referring to spouses and their employment. But the big news came out separately today via a notice to staff. Tillerson will hold a townhall meeting for employees next Tuesday, December 12. I want to also recognize our three charge d’affaires, Young, Kamian, and Shampaine, and thank them for their leadership of all three of these missions. I know, as I’ve said many times, and I want to say this because a lot of stuff gets written out there in the media about the hollowed-out State Department and the empty hallways that I’m walking in, where all I can hear are the echoes of my footsteps. (Laughter.) And it’s not true. And I tell people everywhere it’s not true. We have great, competent, capable career people that have stepped up in leadership positions while we’re working to fill those roles, and we haven’t missed a beat. Not one. And I want to thank all three for their leadership at the missions here. I know it’s not the easiest thing to do when you’re put in an acting role like that, but we have not missed a beat on the leadership. The three charges here are very competent with the team we have. I want to say a real quick word, and I’m not going to talk long because you don’t want me to talk long – (laughter) – but I want to say a little bit of a word about the redesign at the State Department because there’s been – a lot of other people seem to want to say a lot about it, whether they know anything about it or not. And so I want to tell you what’s going on. And we are moving – we’ve completed phases one and two now, and this is an entirely employee-led effort. Your colleagues are the ones doing all the work, they’re the ones making the recommendations, they’re the ones developing the various projects that we’re going to be undertaking. But what it fundamentally comes down to – and we’re going to start holding some town halls now that we’re moving from phase two to phase three, which is execution, and share with you exactly what is being done. And so some of this when – a lot of concern people have about we’re going to reduce the staffing by X amount, or we’re going to close this office or that office – there’s nothing planned to close any embassies, and there’s nothing planned in terms of a specific target for the staffing levels. What we did say is to the OMB, because we owe them a number and the reason we put the hiring freeze in place, is – and we said, look, we’re going to at least capture what normal attrition would be through these efficiencies, and that’s about 8 percent over the next few years. So there may be redeployments of talent, but we’re going to use the talent, and we’re going to use it and provide a system of how we do that that makes people say, we need to modernize our policies and recognize the amazing working families today. Our policies are stuck in about the 1980s, as I look at them. So we need to recognize it. In today’s world, there’s a lot of two-career families, and we need to have our policies that are responsive in recognizing both members of that couple are very talented and they have a lot they can do. So a lot of what we’re getting at is capturing all that talent as well. Let me just say, lastly, on the hiring freeze, just to correct a few numbers that are out there that scare people, I’ve approved over 2,400 exceptions to the hiring freeze for EFMs. I’ve approved a number of exceptions for promotions. We’re hired 300 new Foreign Service officers this year already. The total number of Foreign Service officers in the department is within 10 of what it was in October 2016, and that’s out of a base of about 1,080. We’ve actually had fewer people retire this year than we had last year. So I’m very excited about it. They’ve got great ideas. They’re your ideas. We want to just unleash all of that. So lastly, thank you again. Thanks for what you do for us here day in and day out. And I appreciate every one of you. Thanks. That "big, beautiful, wall" along the U.S.-Mexico border gets closer to reality today as DHS will begin to test eight prototype wall designs, ABC News reports: Trump administration begins testing border wall prototypes to prevent scaling, breaches. 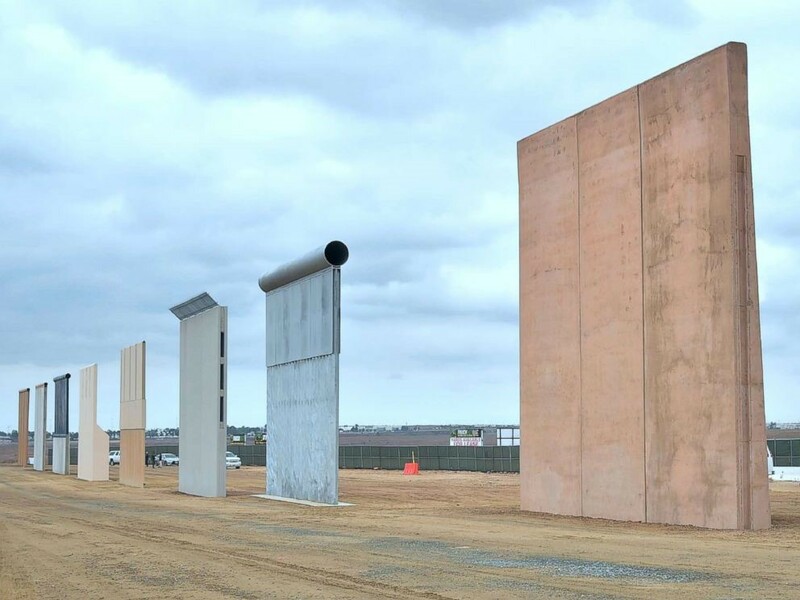 U.S. Customs and Border Protection (CBP) began physically testing the southwest border wall prototypes this week, according to a spokesperson for the department. The physical testing will include attempts to scale and breach the prototypes. Officials will use items such as jackhammers, saws and hydraulic tools to attempt to breach the prototypes. During the procurement process the companies were required to build the walls at least 6-feet deep. The depth of the walls was evaluated during the construction process, according to Diaz. All eight prototypes were required to be 18 to 30 feet high and designed to deter illegal crossings. The physical tests are expected to take place over the next two weeks. Evaluators are going through a “very regimented process” during this assessment phase “to ensure when it’s completed we have the best information available,” said Diaz. CBP is evaluating all the breach attempts and how long they take. Everything is being complied and documented for the evaluation process that comes afterward, according to CBP. Which wall will be the biggest and beatifullest of all? The Cathedral and Metropolitical Church of Saint Peter in York, commonly known as York Minster, is the cathedral of York, England. Architecturally, it is a Gothic structure comparable to Canterbury Cathedral. 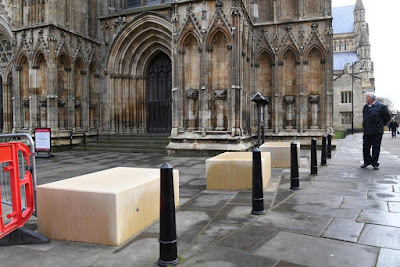 Now, the York Minster has installed new anti-terror blocks along its street-facing side in what seems to be a resigned acceptance that the threat of terrorism in Britain may not decrease for a generation or longer. 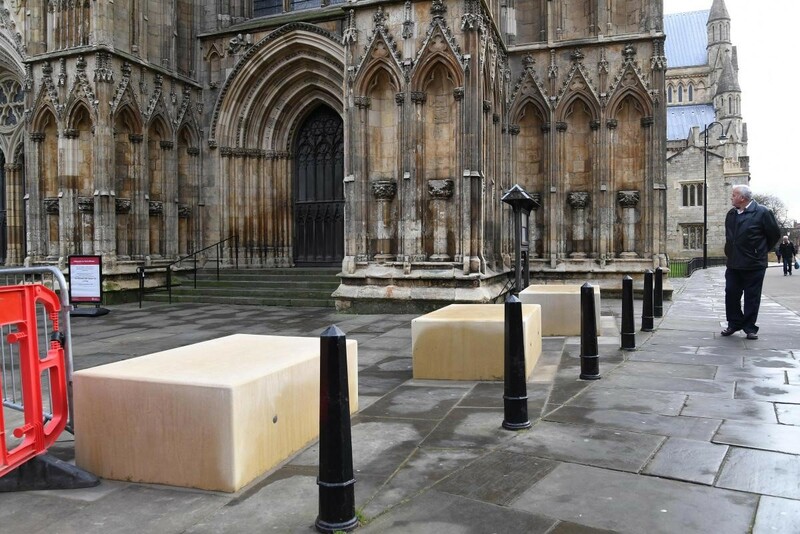 A SECURITY barrier of concrete blocks has now been installed in front of York Minster - as a retrospective planning application was submitted to planners. 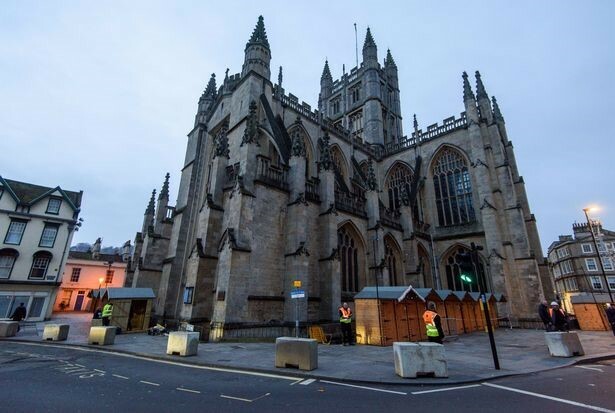 The 12 blocks have been placed in a line outside the west end of the cathedral in an attempt to tackle the terrorist threat. A council spokeswoman said she understood it was likely the application would be considered by officers under delegated powers, rather than by councillors on a planning committee. A Minster spokeswoman said last week the decision to strengthen security was taken following recommendations from the Counter Terrorism Unit. 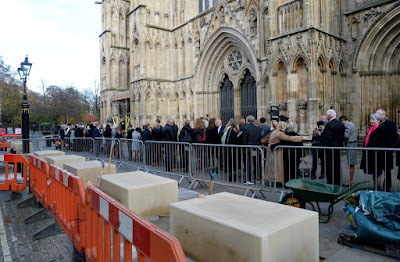 The Dean of York, the Very Reverend Dr Vivienne Faull, inset, said Chapter had been concerned about the potential vulnerability of the area around the Minster’s West End for some time. She said the national terror threat level had been at “severe” for many months and was likely to remain so for some time to come, with some experts believing we are facing a generational problem which may last for 20 or 30 years. She said the appalling attacks in Manchester and London earlier this year had required everyone responsible for the security of nationally important buildings, monuments and public spaces to reassess, review and constantly refine their arrangements for keeping people safe. 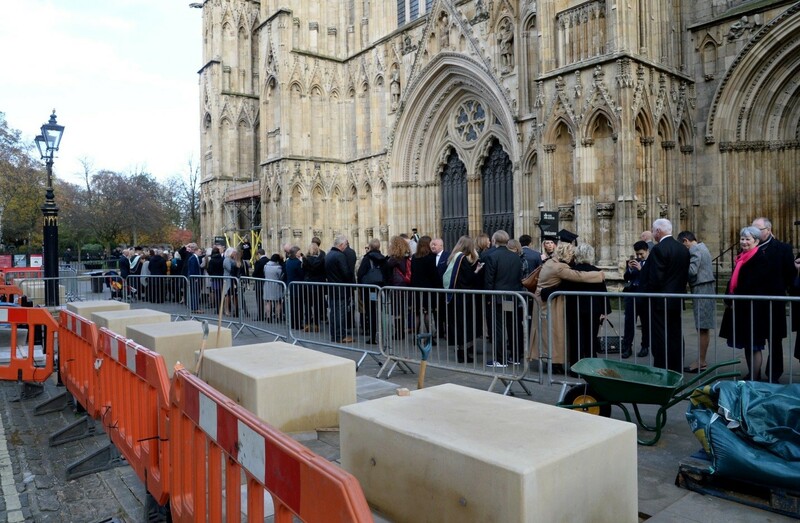 Steve Brown, managing director of Make It York, said it was reassuring that York Minster had acted upon the recommendations and advice it had been given. 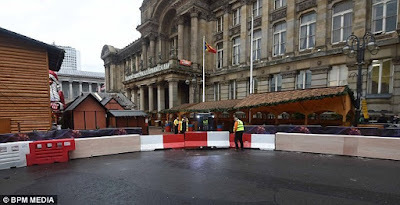 Those barriers, unlike the temporary ones that were place around most British Christmas markets recently, are professionally planned and executed. 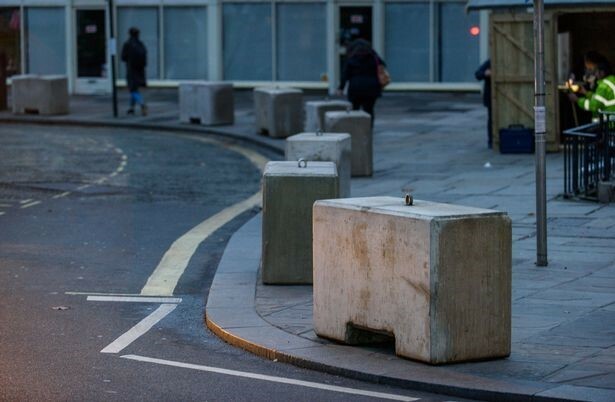 A security industry news site reported that the blocks were "approved by the Home Office and tested by the official (CPNI), Centre for the Protection of National Infrastructure." That's good, because the CPNI is an extremely well-regarded organization that is available to provide advice to the owners of national-level assets in the UK. 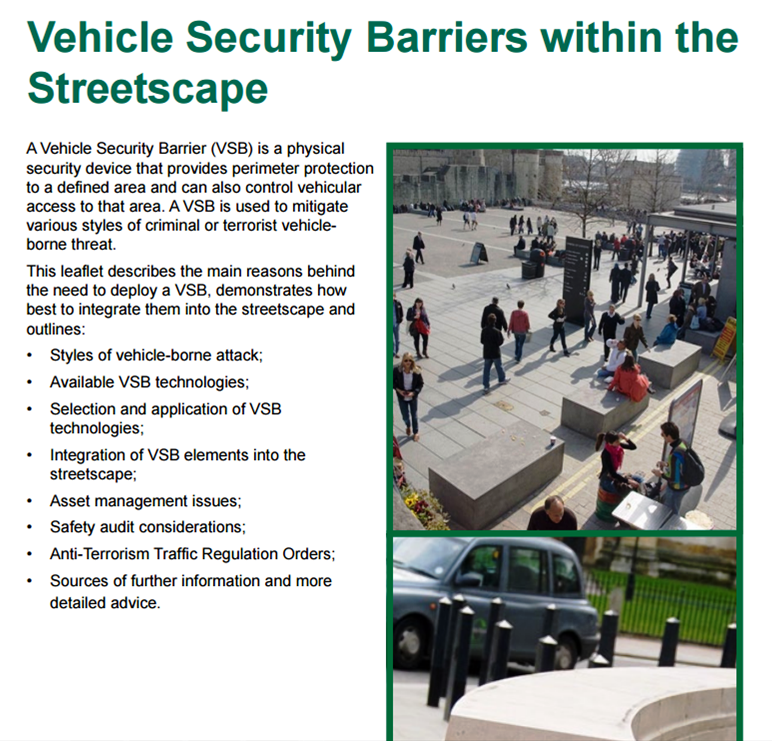 Eek - whilst I agree they are a deterrent, I think more thought could have gone into what street furniture they could have used, there are a lot better anti-vehicle systems that would have been less obtrusive than a square edged stone block, just saying thats all. The press could run a competition for what they could be used for to soften the harshness in the future. Make them a feature as they are ideal plinths. Perhaps for artwork, sculptures, I could see them being more than a block of concrete and more aesthetically pleasing in the future. Great idea, at the very least they can be used as benches. People have commented on the bollards which are most likely cast iron and therefore would just snap if a truck drove into them. 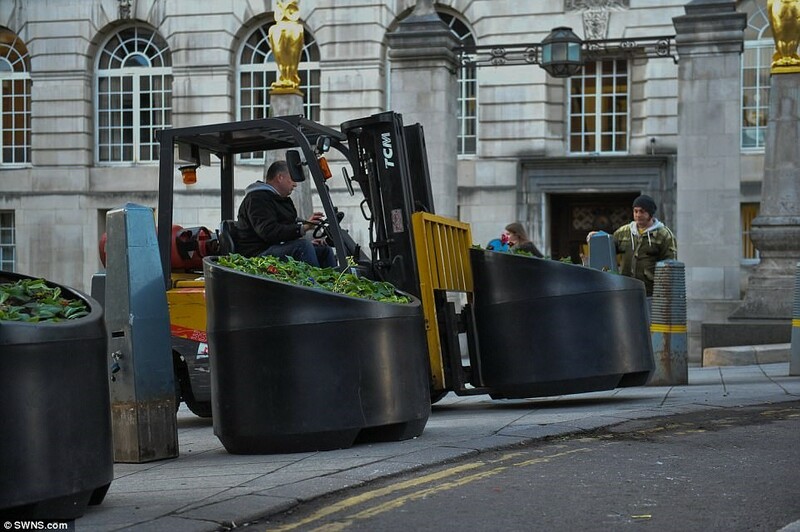 However it would have been possible to replace them with steel bollards with a decent length underground and the above ground bit encased in a decorative mould plastic covering. These just look like something from the Normandy beaches. Those citizens get the point of the exercise, and they have actually good constructive suggestions. Hell, they even know the vocabulary, like "street furniture" and "plinth." The later, by the way, is a heavy base that commonly supports a column or sculpture. Silent Rex Tillerson spoke to staff and families of the U.S. Missions in Brussels today, which I guess must mean that the packout from his Washington residence has been delayed yet again, because I've been reading for months now about how every day is his last. Anyway, while he is still on the clock he made some further remarks about the redesign effort. One new tidbit: he says it is now beginning the implementation phase, which means they'll be some announcements in the next couple of weeks and townhall meetings before the end of the year. 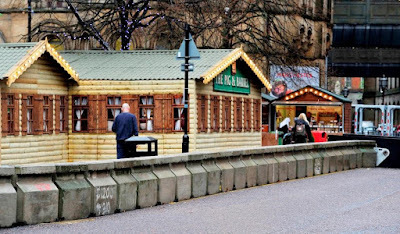 Britain has lots of Christmas markets. It also has a recent history of vehicle ramming attacks in public venues. 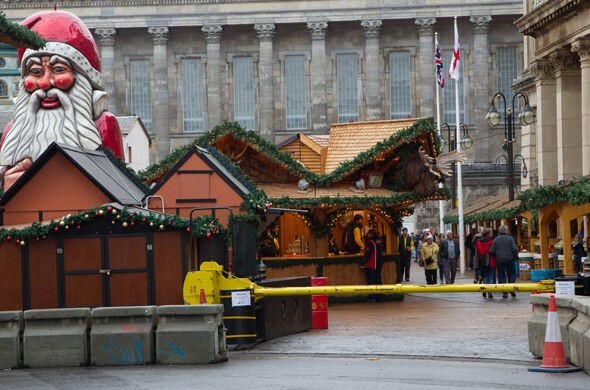 So, how do the British do perimeter anti-ram barriers this holiday season? My bottom line: they do them with no subtlety at all, and little actual anti-ram effectiveness. 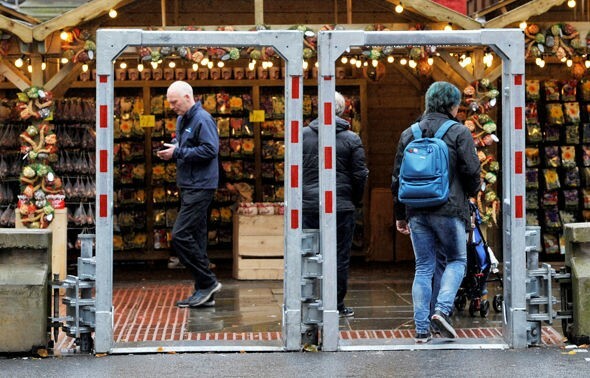 The new German fashion of gift-wrapped vehicle barricades has - with one exception - not spread to Britain. But they do present lots of guns, which surprises me. 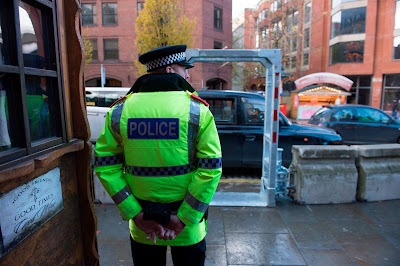 The recent spate of terrorist attacks seems to be making the British more accustomed to and accepting of armed police. Are there really rings of steel surrounding the markets? 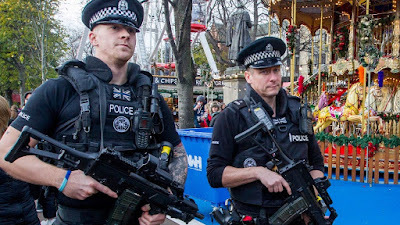 Heavy police presences could be seen in London, Birmingham, Manchester, Leeds, Edinburgh and Bath with armed cops patrolling the perimeters of festive attractions. Plain clothed officers will also mingle amongst the crowds of revellers in a bid to keep the nation safe from further terror attacks. 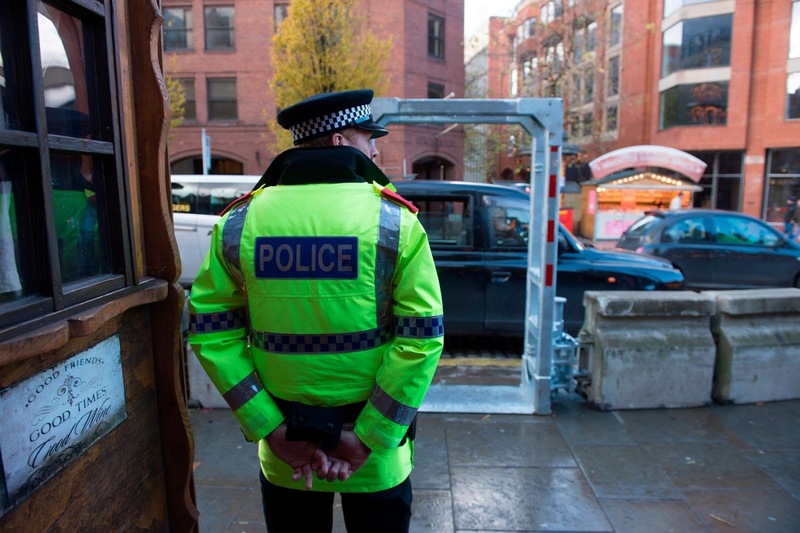 The moves come after the Local Government Association warned councils to be vigilant this year with the terror threat level to the UK currently at "severe". This means that an attack "is highly likely." In response to those atrocities barriers separating traffic from pedestrians were erected on three of the capital's bridges. 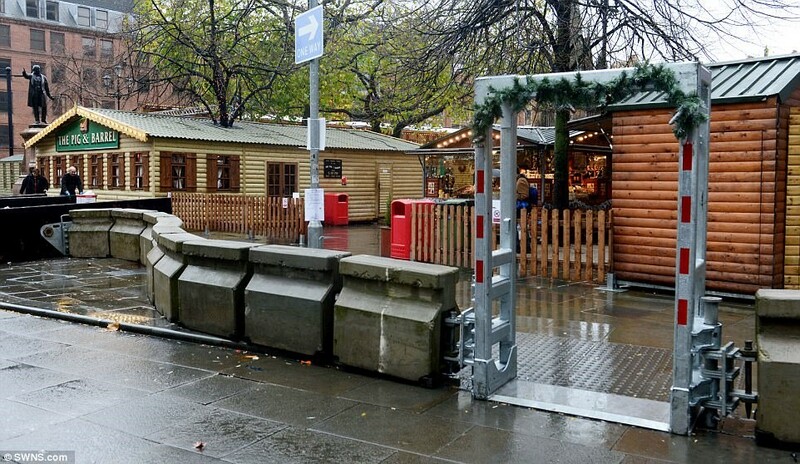 Similar measures are now be in place at major Christmas markets - including Manchester, Birmingham and London's Winter Wonderland in Hyde Park. I think not. 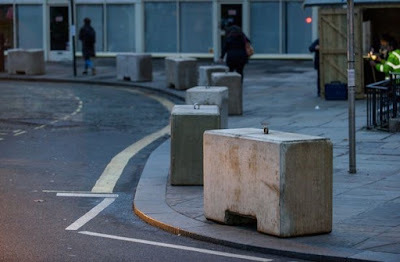 They look more like linked-together small traffic barriers, probably in normal use as mobile highway lane dividers, plus a manually-operated drop bar barrier. While I hate to judge based on just a few photos that don’t show the larger physical context, the configuration of surrounding streets, etc., that is one very weak ring of steel. Or concrete. Extra measures including armed police patrols, large concrete barriers and stop-and-search checks have been introduced at venues across the country. 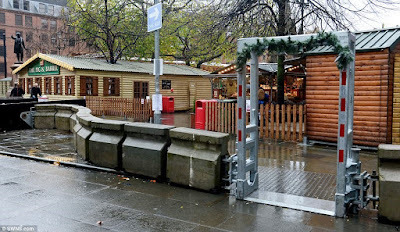 Pedestrianised areas are blocked off to prevent vehicles ramming into crowds after ISIS fanatic Anis Amri, a Tunisian failed asylum seeker, killed 12 people and injured more than 50 when he ploughed a lorry through Berlin's Breitscheidplatz last year. 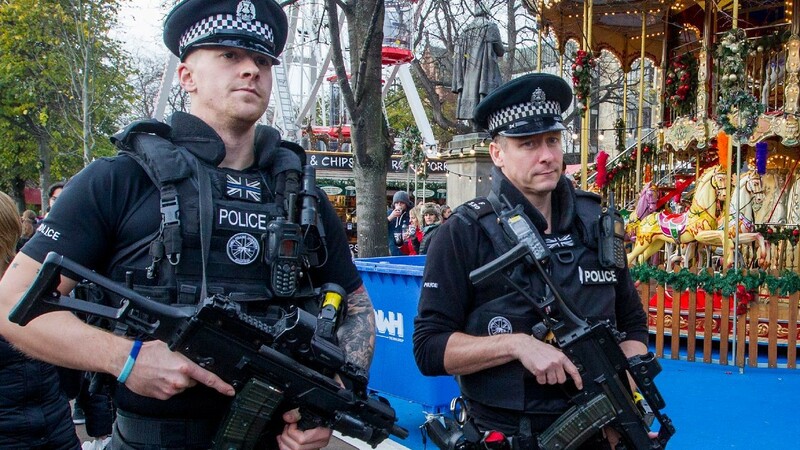 Heavy police presences could be seen in London, Birmingham, Manchester, Leeds, Edinburgh and Bath over the weekend with armed officers patrolling the festive attractions. Plain clothed officers will also mingle among crowds of revellers as part of the heightened security situation. I see the checkpoints and bag searches, etc., but I'm still looking for "large concrete barriers." Those small concrete blocks do not have the anti-ram resistance to stop a Berlin-type truck attack, believe me. 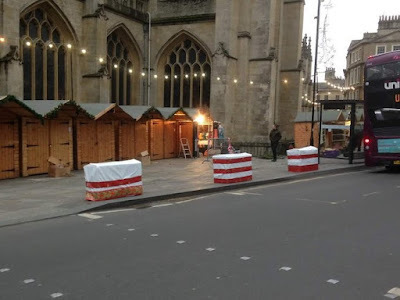 And then we come to Bath, where either they ran low on little concrete blocks and had to space them out, or else they expect some very wide trucks. I mean, you could drive a bus through those openings. Why even bother putting the blocks up? Only two British markets made an attempt to blend the barricades in with seasonal decorations, the way some German cities did this year. Leeds showed a flare for aesthetic physical security by rejecting concrete and using large soil-filled planters with actual plants in them. Congratulations, Leeds. But the first place award goes to Hull, which really out-did even the gift-wrapped German barricades we looked at last week. Well done, indeed. 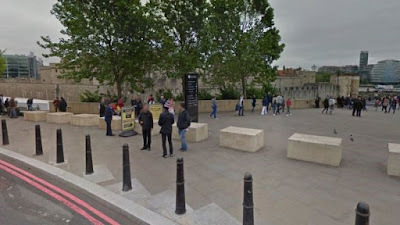 Genuine anti-ram bollards, and they're inside an innocuous disguise. 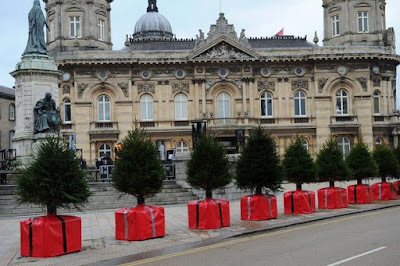 Hull really knows how to hide anti-ram bollards. In conclusion, Hull's perimeter security has a level of artistic and anti-ram legitimacy that even the Germans would be hard-pressed to match. The rest of the UK's Christmas markets seriously need to up their game. The Big Red Ribbons Make Us Feel Safer! 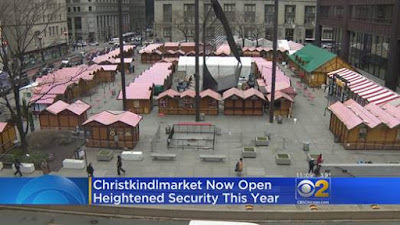 Public reaction to the Essen Christmas Market terrorsperren, via DerWesten.